Of course, no trip would be complete without some excellent food. 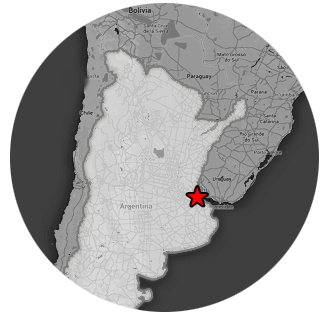 In Buenos Aires, we visited two historic cafes, tried the local version of pizza/Italian cuisine, and visited two steakhouses. Sadly, not all experiences could be documented properly on this page! 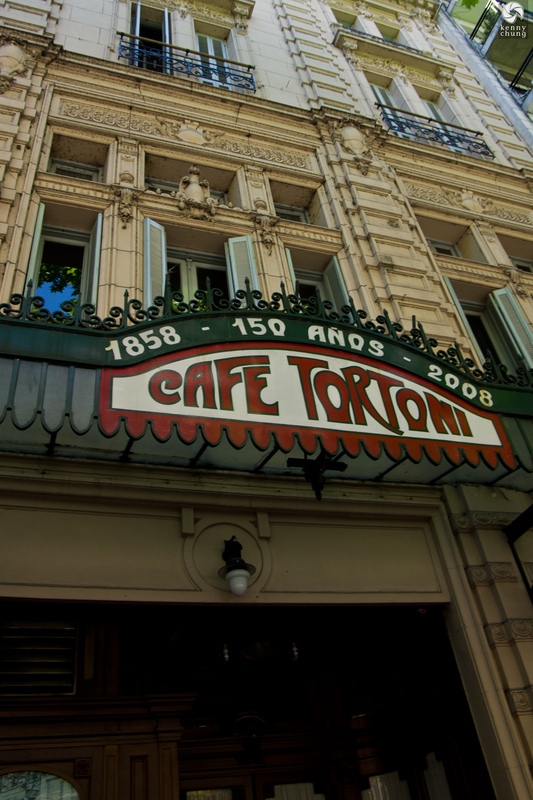 Our first stop was Cafe Tortoni, a Buenos Aires institution that has existed for over 150 years. 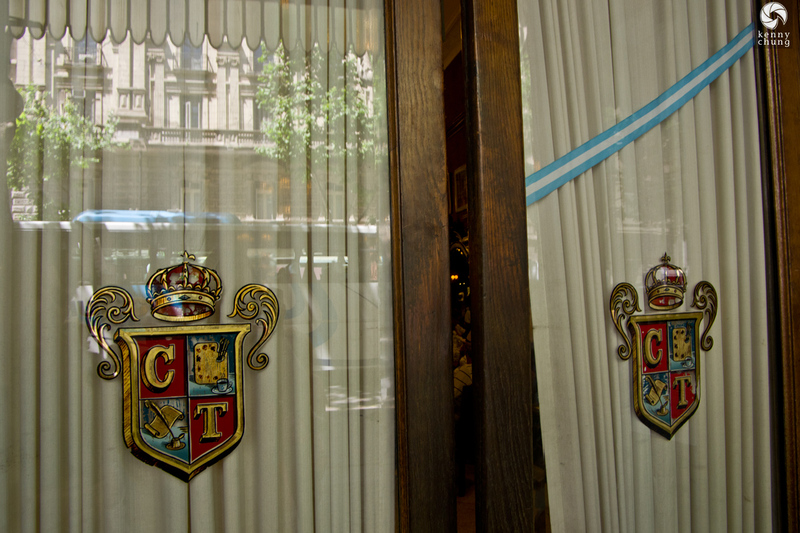 The doors show the logo of Cafe Tortoni. 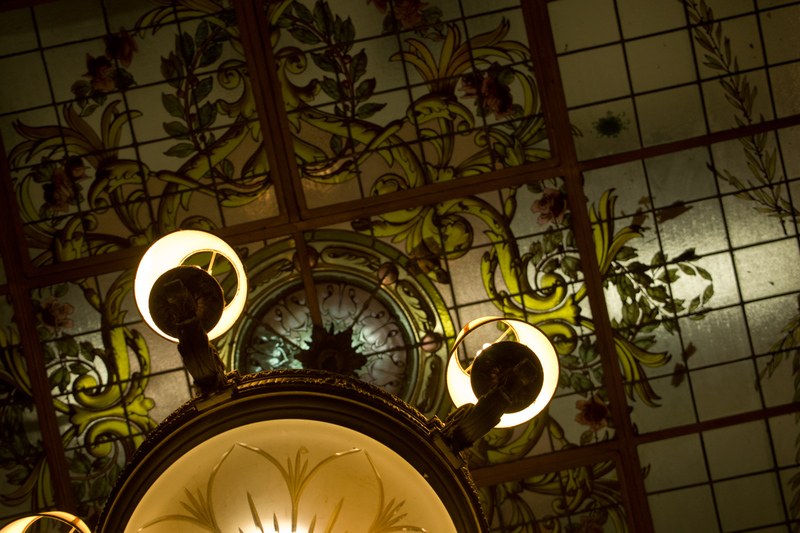 We had to wait about 15 minutes to be let inside, but the host was very accommodating. 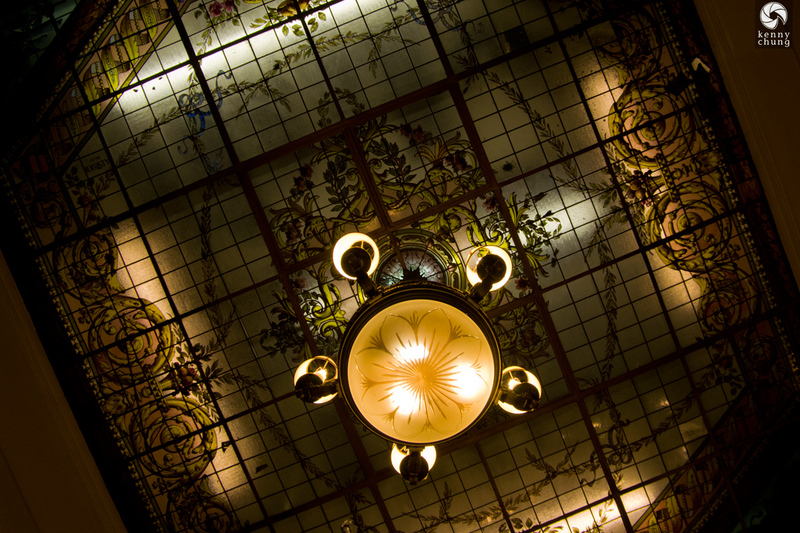 The beautiful ceiling artwork of Cafe Tortoni. 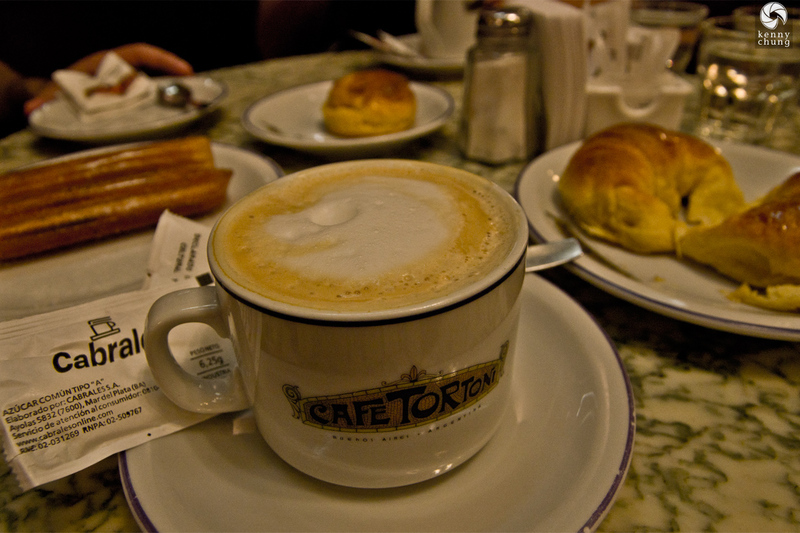 A regular coffee and some assorted baked goods, including churros and croissants. 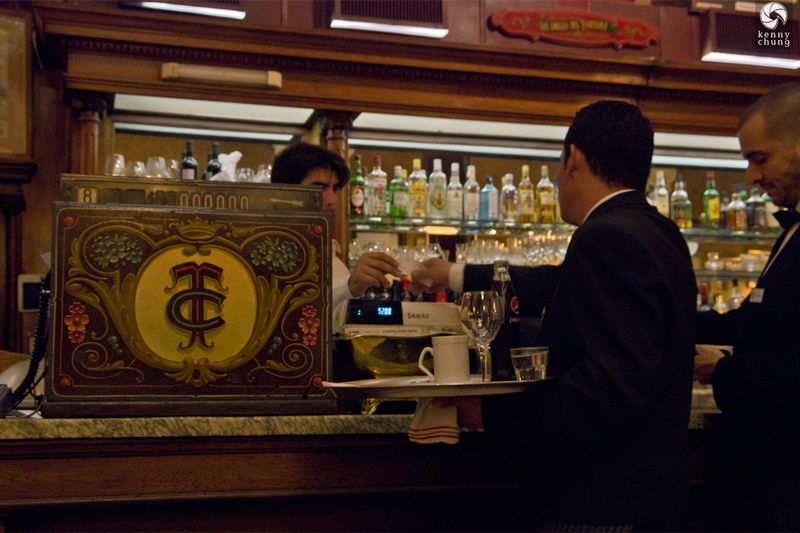 The cash register at Cafe Tortoni. 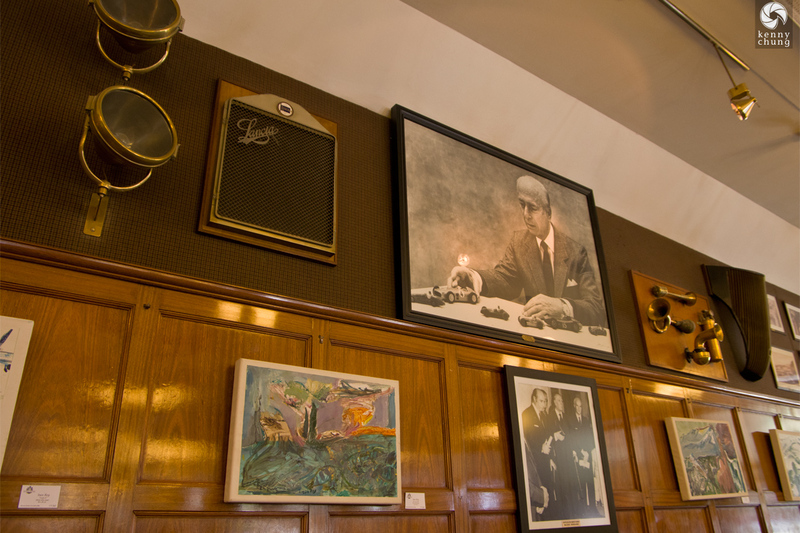 One last interior shot of Cafe Tortoni. 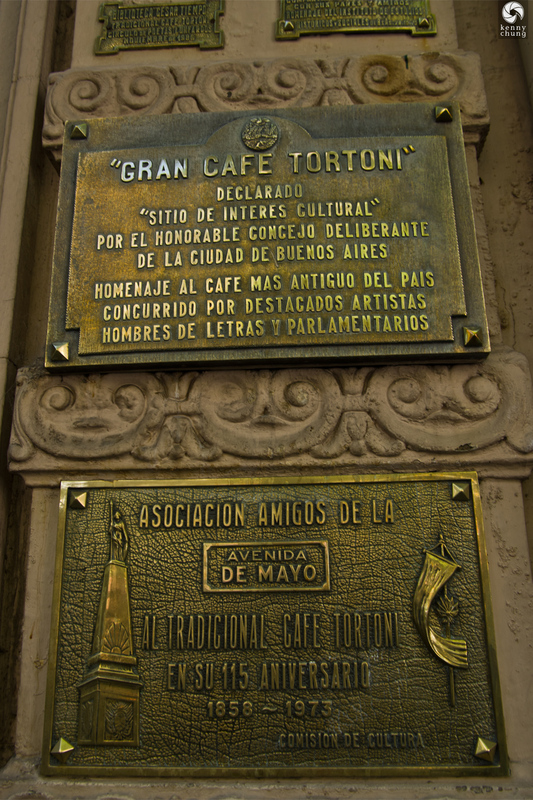 An exterior plaque documenting the declaration of Cafe Tortoni as a Cultural Interest Site. 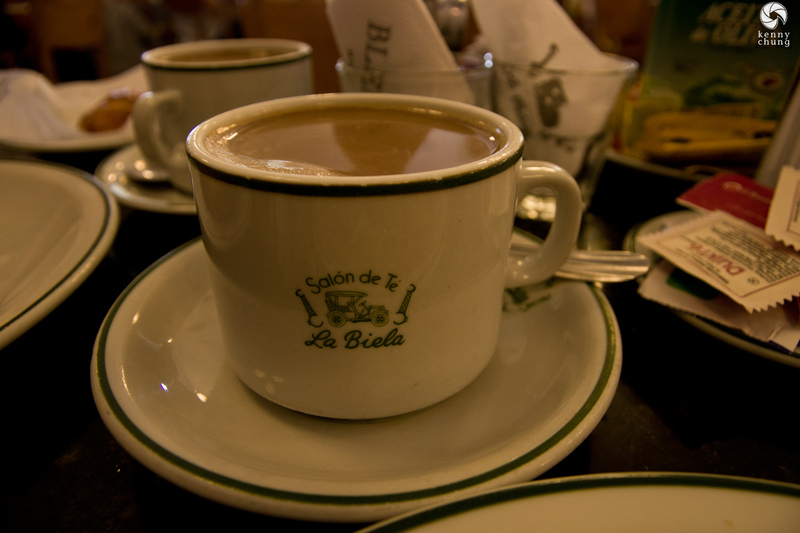 Before we visited La Recoleta Cemetery, we stopped by Cafe Historico La Biela. It was a beautiful day, but we opted to sit indoors. 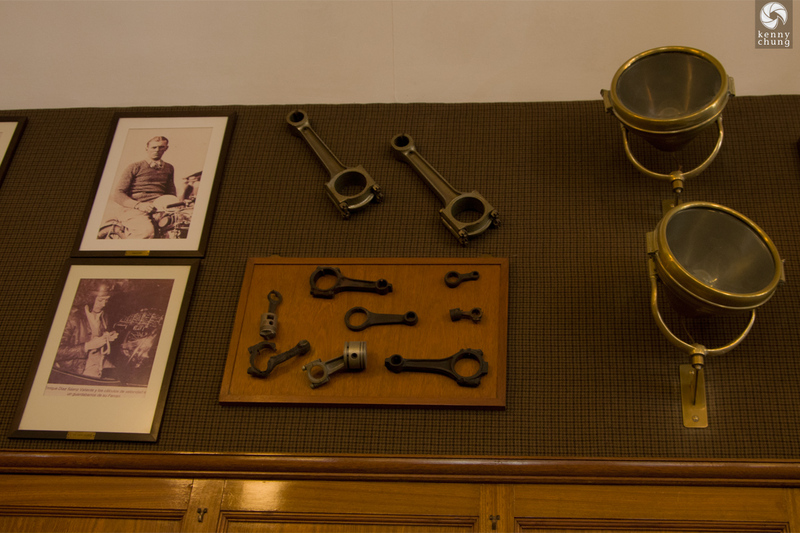 The interior of Cafe La Biela was heavily automobile-inspired. 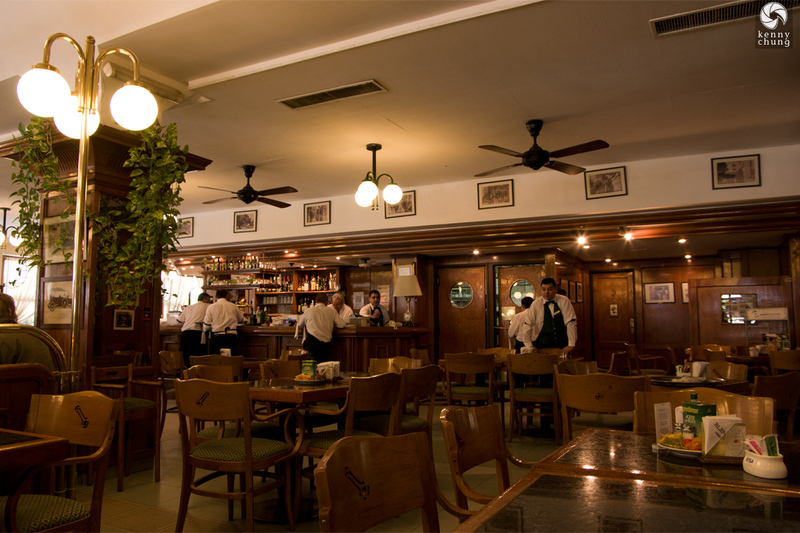 One more interior shot at Cafe La Biela. Notice that the back of every chair is engraved with the socket wrench logo of the cafe. 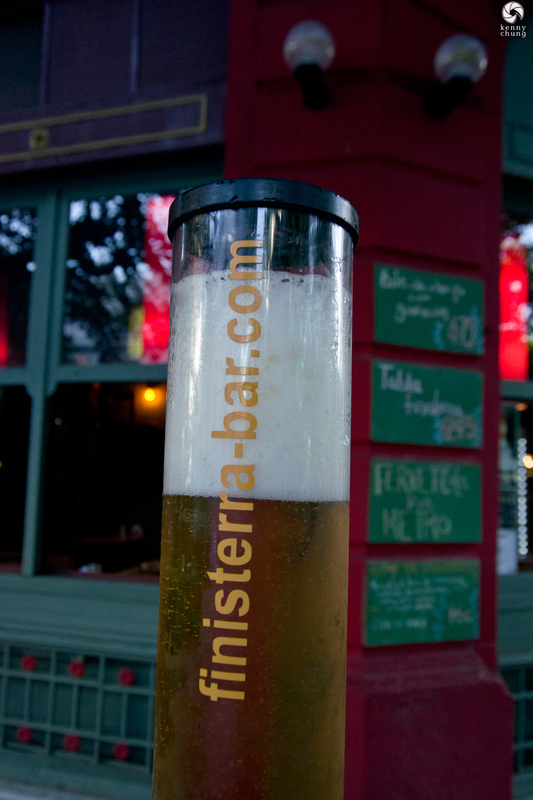 On our last night back in our home neighborhood of Palermo Soho, we had a late-afternoon snack and drink at Finisterra Bar. This beer tower we ordered garnered many strange looks from people on the sidewalk! 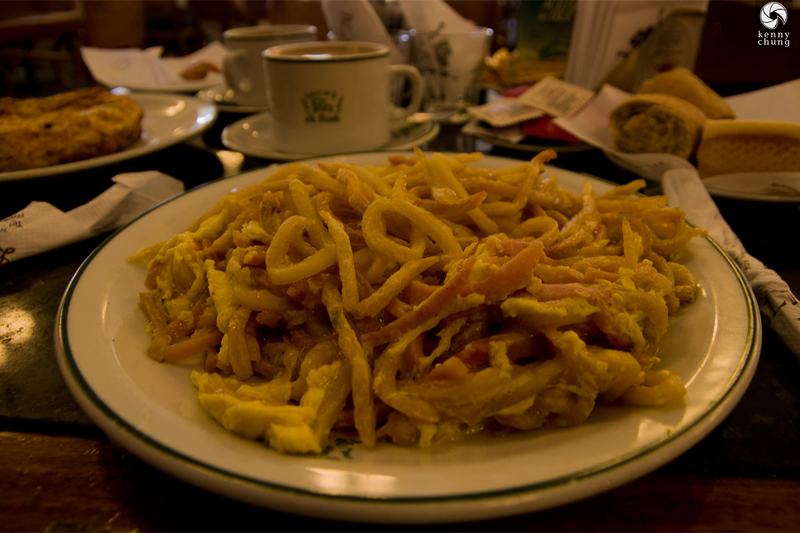 It took some getting used to the late dinner schedule in Buenos Aires. In order to adjust, we started having multiple dinners. 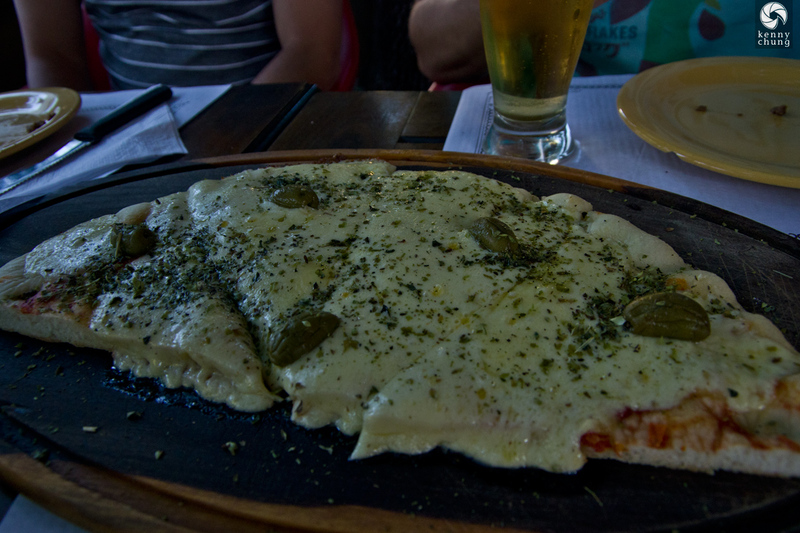 Here was pizza from Finisterra Bar. 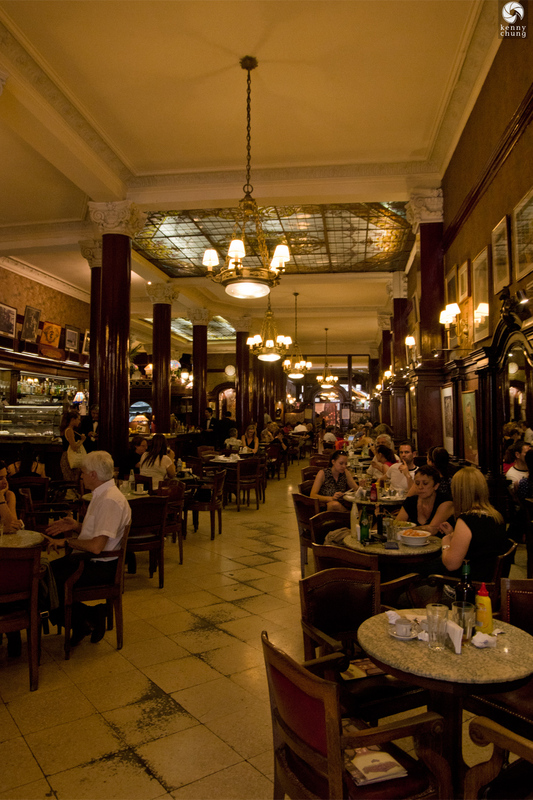 We had passed by Estilo Criollo many times on our way to the Subte, and decided to finally visit on our last night in Buenos Aires. To say that it was a heavy meal wouldn't be doing it justice. 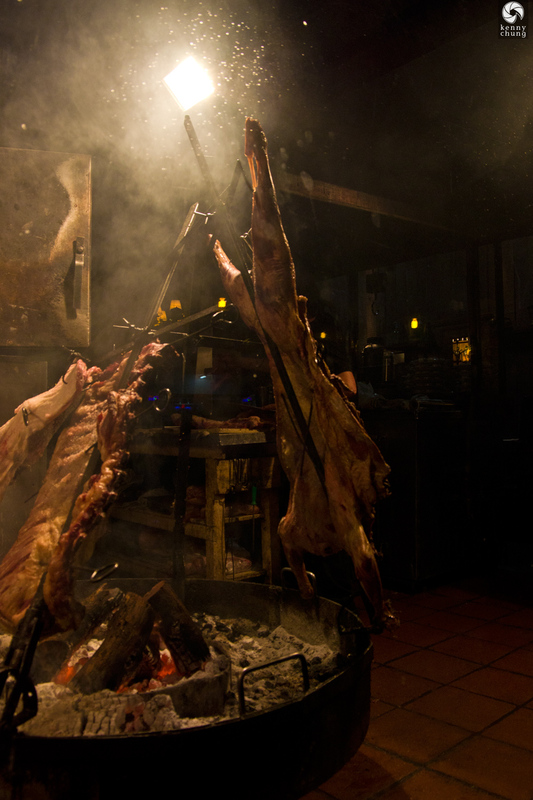 Just look at the charcoaled meat they have displayed in the window! Another shot of the kitchen at Estilo Criollo. 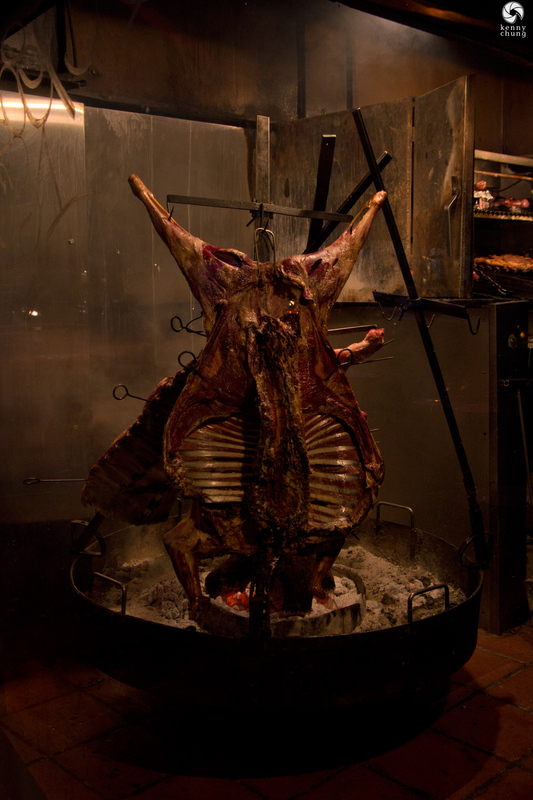 It was an excellent last meal in South America.